A group of approximately 50 "Red Bull" soldiers, veterans, friends, and family gathered in central Iowa earlier this month. It was the 34th Infantry Division Association's 64th Annual Reunion. Guest-blogger Ashlee Lolkus wrote about the event here. The gathering was a mix of those who remember Italy and Africa, and those who remember Iraq and Afghanistan. Nationally, the organization numbers around 1,000 members. Like other groups of similar vintage, the 34th Infantry Division association faces a dwindling membership and flagging sense of purpose. Young people don't join clubs and go to dances like they used to. They don't join bowling leagues or Legion halls. And, face it, nobody in this life is getting any younger. In 1951, in his retirement remarks to the U.S. Congress, U.S. Army Gen. Douglas MacArthur famously invoked the lyrics to a song sung often in the barracks: "Old soldiers never die. They just fade away." So, apparently, do their organizations. According to an Aug. 25, 2011 St. Louis Dispatch article regarding the 84th Division Association, "more of the men who made up the Greatest Generation are calling it quits when it comes to annual get-togethers with their wartime buddies. The 99th Infantry Division, the 40th Engineers, the 517th Parachute Regimental Combat Team and the crew of the aircraft carrier Enterprise are just a few groups that have hosted their final gatherings in recent months." At a 34th Inf. Div. "final roll call" read during a cocktail-hour memorial service, names of 84 veterans who had died since the last meeting were read. Soberingly, some of those named were relatively young, killed in action during the Iowa National Guard's 2nd Brigade Combat Team (B.C.T. ), 34th Infantry "Red Bull" Division (2-34th BCT) deployment to Afghanistan. The names included that of U.S. Army Sgt. Devin A. Snyder, 20, of Cohockton, N.Y. Snyder was active-duty soldier who had been attached to Iowa's 1st Battalion, 133rd Infantry Regiment (1-133rd Inf.) operating in Laghman Province, Afghanistan. She and three other military police were killed when an Improvised Explosive Device (I.E.D.) denotated outside a Laghman Povince village. The association historian speculated that Snyder was the first female Red Bull soldier to have been killed in action. Sgt. Christopher R. Bell, 21, of Saint Joseph, Mich.
Sgt. Joshua D. Powell, 28, of Tyler, Texas. Spc. Robert L. Voakes, 21, of Hancock, Mich.
Sgt. 1st Class Terryl L. Pasker, 39, of Cedar Rapids, Iowa. Staff Sgt. James A. Justice, 32, of Grimes, Iowa. Sgt. Brent M. Maher, 31, of Honey Creek, Iowa. Spc. Donald L. Nichols, 21, of Shell Rock, Iowa. Some of the older 34th Inf. Div. soldiers hope to return the association to its former glories, particularly when it comes to reunion attendance. 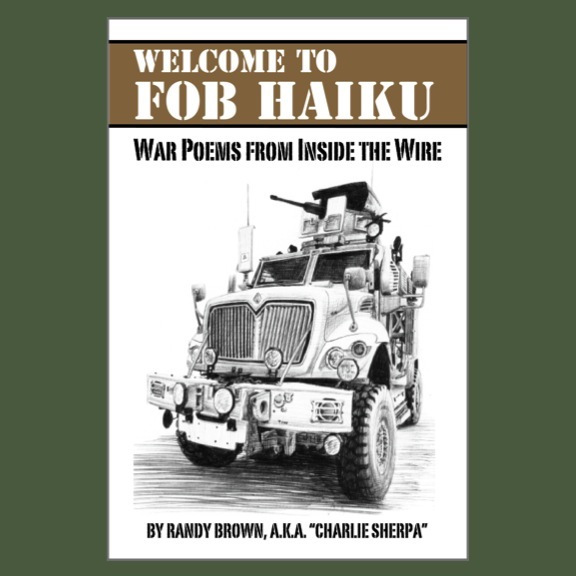 In an age of fractious social media, geographic dispersion, and declining interest in formal groups, however, maybe that's an old paradigm--an example of "fighting the last war." Merely getting together for an annual round of drinks and war stories won't cut it. There must be ways to honor, preserve, and celebrate Red Bull history--to make it relevant for recently retired veterans, today's soldiers, and tomorrow's recruits. Conduct oral history or genealogy workshops for soldiers, veterans, and families. Coordinate youth- or community-focused history education programs. Create a memorial to "Red Bull" units and/or individuals serving in post-WWII conflicts and deployments. Underwrite permanent / traveling museum exhibits regarding 34th Inf. Div. history. Sponsor Red Bull “living history” reenactors. The memories of soldiers--young or old--never die. They just fade away. There are two new static pages on the Red Bull Rising page. A page titled "Fallen Soldiers" lists four Iowa National Guard soldiers killed 2nd Brigade Combat Team (B.C.T. ), 34th Infantry "Red Bull" Division's (2-34th BCT) 2010-2011 deployment to Afghanistan. The page replaces "Help Our Soldiers"--an earlier, partial listing of combat injuries and deaths from the deployment. 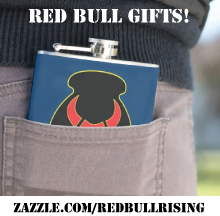 A page titled "Friends & Allies" lists groups that share similar objectives to that of the Red Bull Rising blog: To remember, support, and celebrate citizen-soldiers past and present, as well as their families, along with links to their respective websites. Check them out, and help where you can. A page titled "Share Your Stories" has been put on hiatus. 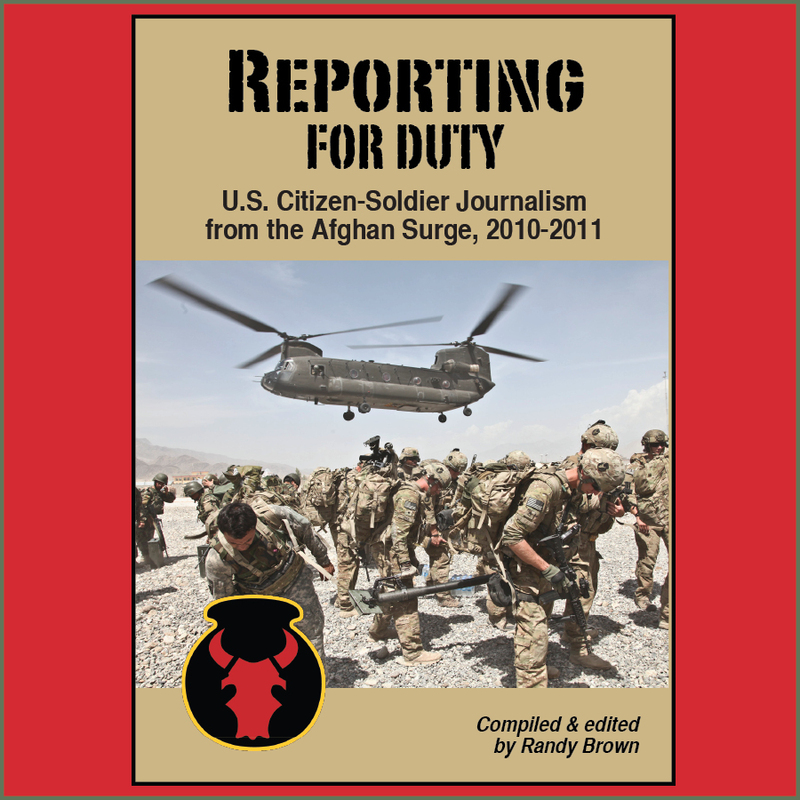 The page--which sought to collect stories from Red Bull soldiers, veterans, and families via an on-line questionnaire--generated lots of page hits, but few submissions. Here's a quick footnote (maybe it's a "paw-note"?) to some doggy stories I've told (here and here) over the past couple of months : On page 61 of the September 2011 issue of Men's Journal, in a sidebar to a 3-page feature regarding military working dogs, you can sniff out a tiny mug-shot of Sgt. 1st Class Timmy. Timmy is a yellow Labrador working as a therapy dog at Bagram Airfield, Afghanistan, with whom I visited earlier this summer. Nothing big. I didn't write the story, I just happened to take the snap. Still, I think it's kind of funny that the tiny photo represents the biggest sale to-date from my 2011 Afghan travels. Ah, well ... every dog has his day. "BEER FOR MY HORSES ..."
I almost dropped my beer when Foreign Policy magazine blogger Tom Ricks mentioned the Red Bulls right after musing about Budweiser's Clydesdales. I like how he makes connections. And I owe him a beer. NaMaster Sgt. Todd Eipperle, 46, received a hero's welcome with a Marshalltown, Iowa, parade and ceremony Sat., Sept. 17. A member of a 16-member Embedded Training Team (E.T.T.) in Panjshir Province, Afghanistan, Eipperle was wounded when he responded to a July 2011 attack by a rogue Afghan security officer that killed fellow Iowa Army National Guard soldier Sgt. 1st Class Teryl L. Pasker, 39, and retired Connecticut State Trooper Paul Protzenko, 47. Eipperle shot and killed the assassin, and himself suffered gunshot injuries. The incident took place in a province considered so secure that U.S. personnel do not typically wear body armor, and drive armored Sport Utility Vehicles (S.U.V.) rather than heavier Army trucks. The shooting also occurred just days or weeks before Eipperle and Pasker were slated to return home with the rest of Iowa's 2nd Brigade Combat Team (B.C.T. ), 34th Infantry "Red Bull" Division. See previous Red Bull Rising blog posts about the incident here and here. Saturday's event included a proclamation from the acting mayor of Marshalltown, declaring "Master Sgt. Todd Eipperle Day," as well as a parade and ceremony attended by hundreds. Boy and Cub Scouts featured prominently throughout--in his civilian career, Eipperle is District Director for the Boy Scouts of America's Mid-Iowa Council. Before the Marshalltown crowd, Eipperle was presented a Bronze Star Medal for meritorious service during his Afghan tour. Previously, he had been presented the Purple Heart during a hospital stay in Germany. He continues to be on active-duty orders at Fort Riley, Kansas pending medical release, His family anticipates he will be home full-time by mid-October.